The company’s ethernet @Home service allows an employer to extend Comcast ethernet service from corporate facilities to telecommuters’ homes. Instead of logging in to a VPN (virtual private network), employees who use it can get secure access to the enterprise ethernet network instantly, the same way they would go online at work, Comcast said. The service became available across the Comcast Business network on Monday. Working from home is common for many white-collar employees, well beyond the physicians, corporate executives, IT specialists and pro sports players that Comcast cites as potential users of ethernet @Home. For example, doctors may want to see images of their patients as soon as they’re available in order to make a diagnosis, and IT managers may need high-speed access to systems during off hours. Helping workers get online and stay connected to enterprise resources over VPNs and remote desktop systems can add to the burdens of IT departments. ethernet @Home is designed to make telecommuting identical to working on site, except perhaps at a different connection speed. It’s available at speeds ranging from 2Mbps (bits per second) to 10Mbps, and all services are symmetric, meaning they run at the same speed in both directions. 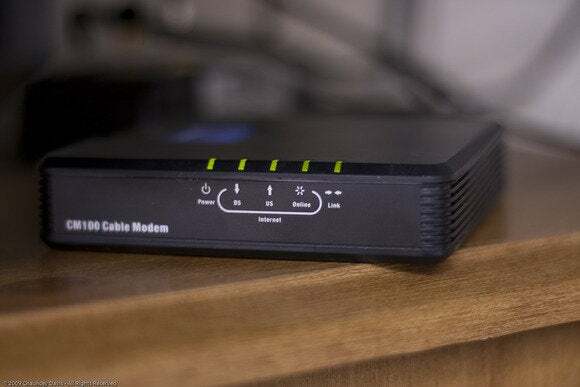 ethernet @Home costs from US$200 to $800 per month, but it’s not like a typical home broadband service, which might offer a higher top speed at much lower monthly rates. It comes with a service level agreement to guarantee you’ll get that level of bandwidth all the time. ethernet @Home can connect a home directly to a company’s network in two ways: ethernet Private Line, a point-to-point connection between the corporate site and the home; and ethernet Virtual Private Line, a shared, multipoint service for multiple home users. Those services remove the need for a VPN. A third type of service, ethernet Dedicated Internet, provides an ethernet connection into Comcast’s infrastructure but uses the Internet from that point on. Comcast Business offers services across 20 of the top 25 U.S. metropolitan areas, Tighe said. ethernet @Home works across the company’s existing network, so the cable going into a user’s home doesn’t have to be upgraded.